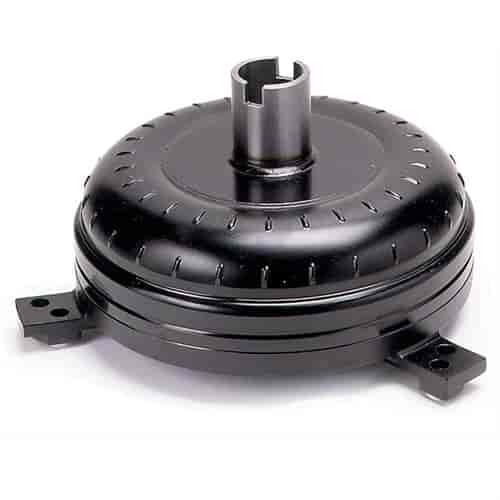 ATI Treemaster Torque Converter for Chrysler TF904 - 8"
The Treemaster Torque Converter will provide quick, consistent reaction times for your weekend racer. The converters are custom configured to your setup to perfectly match your engines torque curve. Treemaster converters feature anti-ballooning plates, a centerless ground hub Torrington bearings, and furnace brazing. This combination results in drag race quality units with optimum performance and reliability, allowing you to make pass after pass with confidence. Treemaster Minimum Reaction Time (MRT) Torque Converters have a unique designed cast steel front cover and we have optimized new stator designs on hand. MRT stands for minimum reaction time and delivers consistent and quick reaction times; exactly what you need to win rounds and races. ATI has 30 years of racing information compiled on multiple combinations and will provide you with what your car needs, the first time. ATI Treemaster MRT Torque Converters are special order items that are custom built for your specific application. Please fill out the ATI Converter Sheet in the product installation instructions below then call JEGS customer care for ordering information at 1-800-345-4545.